Please use the form below to share your experience with us. 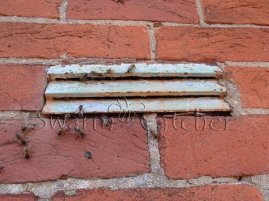 Generally speaking honey bees don’t colonise roof spaces, when they are flying in beneath tiles they more often than not are colonising a cavity wall or an old dismantled chimney stack that is hidden beneath the tiles. 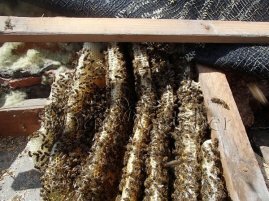 We attend more chimney honey bee removals than we do of any other type of honey bee removal or cutout. 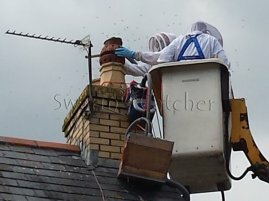 When honey bees occupy a chimney space it is usually one of three scenarios or a combination of them. We remove bees from walls and we can do it without taking them down if you can live with the bees for a couple of months more. But for those of you that can’t we can still get the bees out of the wall. Do you have other questions? Please do not hesitate to call us!